Out & About What is the best pram for my baby? Before spending time looking around for prams, make sure to know what are the differences between a pram and a pushchair, also called a buggy. Then, think about what will suit you best based on your needs and your budget. 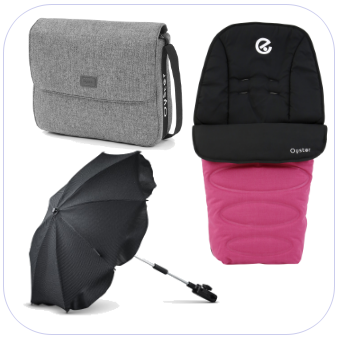 You will also need a couple of things besides the pram, to make the baby feel more comfortable and better protected from weather. Those are pram accessories, like footmuffs, raincovers, parasols and toys. Prams are suitable from birth and give your baby a lot of space to sit and lie comfortably. Unlike pushchairs, prams take up a lot of space and are hard to use on public transport. Pushchairs or buggies or strollers are suitable for young babies if they have fully reclining seats so the baby can lie flat, like Oyster's strollers. Wait until your baby can sit up (usually after 6 months old) before using another type of pushchair. Consider the pushchair's weight if you use public transport, as you might have to lift it onto trains or buses. In most brands, the seat unit can either be parent of forward facing with multi recline positions. Parent facing is perfect for interacting with your baby in the early stages, benefit your baby's speech development. Forward facing lets your growing child explore and experience the big world. A carrycot is a light, portable cot with handles, similar to but smaller than the body of a pram and often attachable to a wheeled frame. Your baby can sleep in the carrycot for the first few months, and the cot can be attached to the frame to go out. Most modern carrycots can also be taken in a car with appropriate restraints (please check on the relevant product page that it's compatible). Lastly, some carrycots are suitable for overnight sleep. This is usually stated by the manufacturer. Some carrycots that are suitable for sleep during night are from Silver Cross travel systems or the Uppababy Vista. A travel system is typically a set consisting of a chassis (also called frame) with a buggy seat unit and carrycot, as in Silver Cross' travel systems. Thus a travel system can be switched between a pushchair and a pram. The benefit of buying a travel system is that you can easily adjust it to your needs. Depending on the manufacturer, some travel systems, like Venicci's travel system or Bebeboo's travel system include a car seat and all the necessary accessories, like raincover, bag and footmuff. Other brands, such as BabyStyle Oyster, give you the option to buy separately each of their products, but you will usually find them sold in bundles. Check here for our Oyster 3 Bundles. 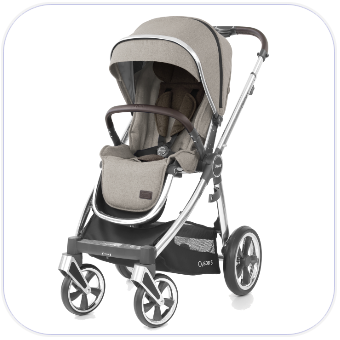 Lastly, in most branded pram chassis there is the option to add a second carrycot or seat unit or car seat using adaptors. This option will suit you best if you are thinking of having a second child in the near future. If you’ve got a car, you must have a car seat, also called a safety restraint. Your baby must always go in their seat, including when you bring them home from the hospital. It’s illegal and very dangerous to carry your baby in your arms in a vehicle. For safety the carseats are usually fit with a 5 point harness. Also, some car seats can be adjusted to a car seat base, thus you can remove them very easily. This allows undisturbed movement of the baby into or out of a car and a reduced chance of waking a sleeping baby. But don't forget that most car seats aren't recommended for overnight sleep! The best way for your baby to travel is in a rear-facing infant car seat either on the front or back seat. This is held in place by the adult safety belt, or an ISO-FIX base, which is secured to the vehicle using "Isofix points" (usually found between the car backseat and the backrest). An ISO-FIX base works with click-on/click-off function, making it even more convenient for parents to use, compared to a belted car seat which can take time to properly secure. It is advisible not to place a rear-facing infant care seat in the front passenger seat if your car is fitted with an air bag. Extra features include seat recline, cushions and side impact protection. Baby carriers (also called slings) are attached with straps and your baby is carried in front of you. Most babies like being carried like this because they’re close to you and warm. 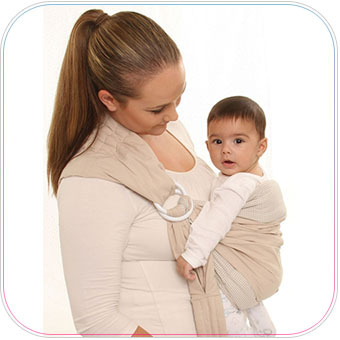 The back part of the carrier must be high enough to support your baby’s head. Check that buckles and straps are secure. Older babies who can hold up their heads and whose backs are stronger (at about four months) can be carried in carriers that go on your back. Pram accessories are all the miscellaneous products you will need when out & about with your baby. Raincovers provide UV and rain protection. Some of the raincovers are universal (fit most types of prams), while some are included with a specific make to fit. Baby changing bags provide storage for all the things you will need for your baby, like bottles or changing mats. In most cases the changing mat is included with the bag. Footmuffs make sure that your baby does not get cold and provide extra comfort. Ride on boards (or buggy boards) are used to convert your pushchair or pram easily into a carrier for your second child. It's very cheap and requires little effort to mount. They clip onto the back of the frame for your child to stand or sit on, and are ideal for toddlers who are old enough to walk. They work as a secure platform for children who want to take a rest from walking. There are a lot of boards that feature a non slip standing surface ensures your toddler will feel safe and secure when riding. Some provide a universal design fits most models of pram/buggy/pushchair. 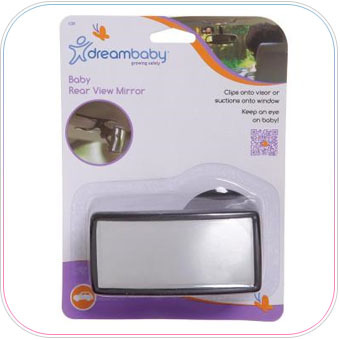 Rear View Mirrors help make it easy to keep your eyes on the road while still being able to check on your little ones in the back seat, without the need of re-adjusting your main mirror. It easily attaches to windscreen with sturdy suction cap. They are easily removed when not in use. As a general rule of safety, always ensure children are properly harnessed into appropriate restraints while in a vehicle.